OvationTix serves hundreds of commercial and not-for-profit users, including theaters (small and large), sports and music venues, events, performing arts centers, exhibitions, museums and festivals. Great Service for Patrons and Companies Alike! Cons: The ability to track pledges and offset them with donations is still in development. We'd like to be able to track a donation for its intended fiscal year, but that feature is not currently available. It would also be nice to be able to track Grant Deadlines and activity, as one can do with some of the more expensive programs. Overall: We've been using OvationTix since its inception. With dozens of shows throughout the year, including many for which we function purely as Presenters, the functionality of OvationTix has been crucial to our success. Our presented productions can monitor and see the success of their shows, and we can manage the overall process. We enjoy working with OvationTix so much that we began using it to track all of our donations years ago. 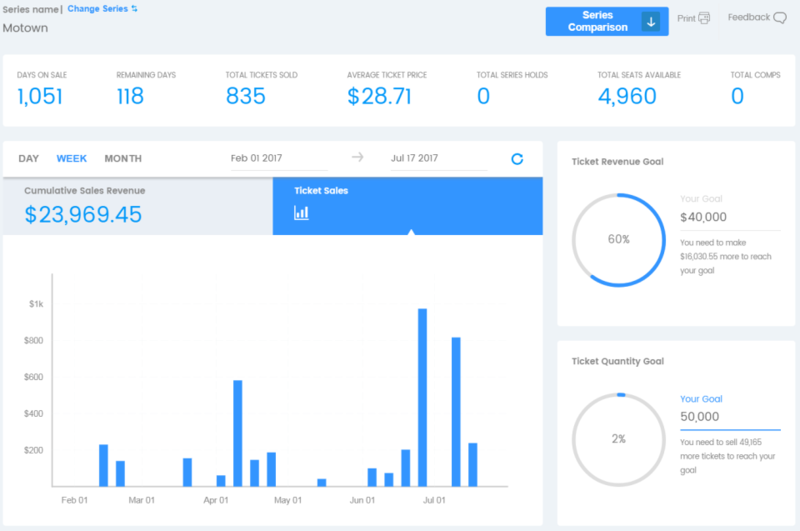 Recommendations to other buyers: It's the best, most affordable and client-friendly ticketing and development software out there! You're taking full advantage of our fundraising and ticketing functions! We're continuing to work on enhancements to both. 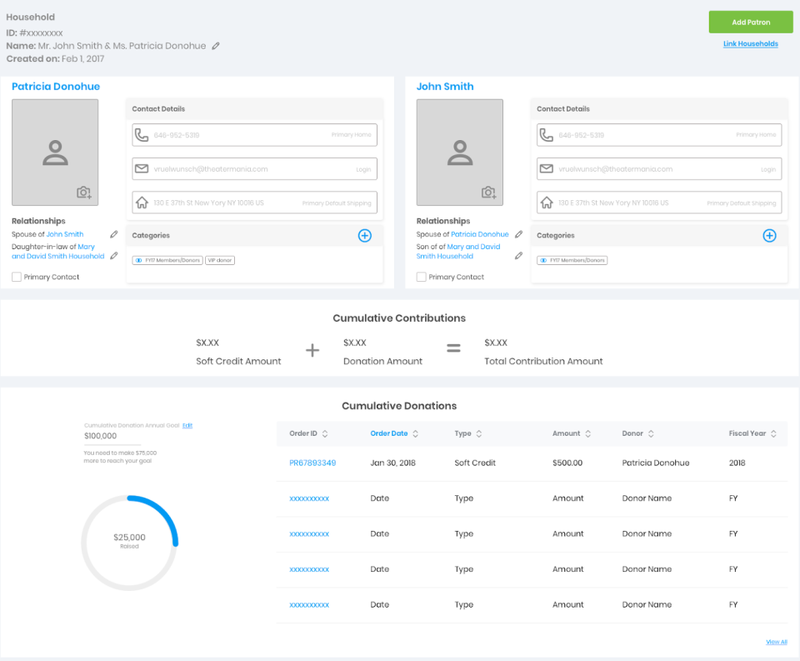 The new "Donor Profile" view may be of interest to you and yes, continued development on pledges and fiscal year changes is in process. If she hasn't been in touch already, Melissa, your account executive, will be in touch with you shortly to demonstrate some new pledge functionality that might address your current need. Please keep checking your email for the newsletter as these enhancements will keep rolling out for you and all of our nonprofit partners. No Up-Front Cost: we only pay OvationTix when we sell tickets. Cons: We aren't a non-profit company, so all the fundraising features in the solution don't really apply to us. This is not a complaint really, but those tools are probably of great use to other companies. We just don't use them. Overall: Our events perform in multiple venues with varying set-ups: assigned seats, general admission, and with various types of tickets like VIPs and student pricing in venues from 99 seats up to 800 or more seats. We also use discount codes, want something that easily integrates with email software and our website and really responsive support since we produce more events than our relatively small staff can handle! OvationTix has worked very well for us in this first six months of our partnership with them. I like that they update the software monthly with new features. It is important our company keep its branding consistent and OvationTix makes that process seamless. Recommendations to other buyers: Get trained on the software! It is really intuitive anyway, but training is free and you can get a lot more out of it early on if you and your staff get formally trained. It's all by phone/webinar and easy. Thanks for the praise Steven! Our best to you and your team. Don't hesitate to reach out to our support team if you have any questions. And yes, while the fundraising solutions like individual donations, pledge tracking, moves management and deeper CRM functions aren't for everyone, you can certainly use them when they match up with your business needs. Pros: The software is easy to use, allowing our patrons easy ability to purchase tickets through our site. It is also flexible, so we can adjust it to our needs as an itinerant company. We can make our subscriptions customizable to each space that we are in. Cons: The reporting function is not as straightforward as I would like. Sometimes it takes some extra finesse and creativity to pull a report with the exact information that you need. It is not as straightforward as a database as it is a ticketing software. Overall: Overall, Ovationtix is very easy to use and client friendly. They have a great support team that is easy to reach and very helpful. For a small company such as ours that does not have a stationary box office, their phone line is a great way for us to offer box office service to our patrons. 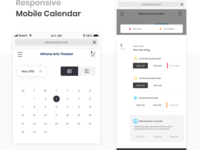 It's online functionality, allowing us to use anywhere we go, is great, as we are an itinerant theater company, and need to set up a new box office area for each show, somethimes in areas that are not as conducive to a theater environment. Recommendations to other buyers: Love ovationtix. They are willing to listen and work with you on anything you need, and help you figure out any aspect of their system. -Patron Holds from patron profile would be nice so you are not going back and fourth from the hold page to the profile page. Overall: We love Ovationtix. Their customer support team helps us with every and any problem we have. Even if they don't have the answer right away, they get back to you within a very reasonable time frame. Everyone is always friendly and willing to help. They fully support and listen to our ideas about improving the system, in order to meet our specific needs and requirements. Thanks so much Jamie! Our support team is always happy to hear such praise and I will pass along your requests for further enhancements to the Who's Coming report and hold functionality too. And please keep an eye out for some enhanced reporting features rolling out over the next few quarters. You'll hear about them in our monthly newsletter. great team with customer service! very supportive. user friendly and easy to navigate. Pros: Very user friendly and simple to set up shows and make changes, alterations to shows and pricing. Cons: a bit slow when doing window sales (internet speed) no waiting list automatic function when a show sells out (like Eventbrite has) . The fact that you can't build your own seating charts or make alterations to them without going through a customer service rep ( slow turnaround). Overall: like the extra phone room support and the financial credit card payout that is done by Ovation instead of our administration. the online ease of use. Thanks for the review! You shouldn't be experiencing any issues with internet speed at the Box Office so please give us a call so we can trouble shoot that for you. We'd also love to hear more about what you're looking for in terms of the wait list functionality. We take client feedback very seriously and it directly drives our roadmap. We are working on functionality to give clients the ability to build their own seat maps so stay tuned! The 24/7 phone answering service for our patrons is the best! Pros: This service gives us a complete customer focus. It allows us to sell tickets and collect donations automatically online. This service also provides us with "always open" capability by answering our ticketing phone calls 24/7. Cons: The set up can sometimes be difficult when we are creating a new series. But, I suspect that that is because we only do that once per year. Thank you so much for the review. If you are ever having difficulty creating a series because you aren't doing it that frequently feel free to sit in on one of our weekly webinar trainings. They are a great way to brush up on the basics if it's been a while and they are hosted every week. We also host other webinars dedicated to a more specific focus (i.e development tools, packages, etc). You can find the link to our training calendar in the help center. Thanks again and we truly value your partnership. 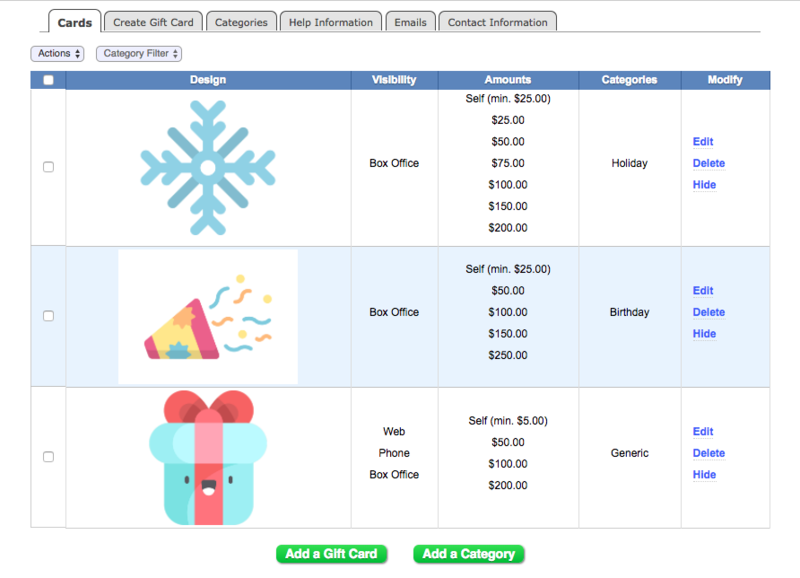 Ovationtix has provided us with an integrated platform for Festival ticketing and merchandise sales. Pros: Interface allows us to manage levels of access, and also prepare consistent and accurate reports. Patron history is presented in clear and logical fashion. Cons: Wish there was more direct integration with other marketing platforms, such as our broadcast email client and social media channels. Hi Scott - thank you for the feedback! We're glad to hear that OvationTix is a valuable tool for your Festival ticketing and merch sales. We do currently integrate with MailChimp, Constant Contact, and Facebook, and we¿re excited for developments in other integrations that are on our roadmap. Stay tuned, and please don't hesitate to reach out to your Customer Success Manager to find out how to leverage existing integrations. OvationTix is easy to use, gets the job done, has excellent customer service and is economical! Pros: Ever since we found OvationTix our lives are so much simpler! As a nonprofit with a staff of two, we needed a system that could function well as a box office, while also keeping track of donations. Not only is it super user friendly, the customer service is fantastic. We also love that there are no fees on donations and no set up fees which is huge. On to of that, OvationTix seems to always be trying to improve by adding new features. We love OvationTix! Pros: This software is easy to use, simple to set up and edit multiple events and prices. Navigating through the reports is fairly easy once you are familiar with the program. And information is very detailed. Cons: There is a learning curve and not a lot of training provided to familiarize newcomers to where things are hiding. Overall: Our business needed a way for patrons to purchase tickets online at their convenience, especially since our box office has restricted hours of operation. This gives us that option. So glad to hear that you're happy with OvationTix! If you have any needs related to training, please don't hesitate to reach out to me and I can provide you with the growing number of training resources we have available. Great tool for small theaters. Pros: Easy to set up shows, ticketing is fast and keeps the UX simple for, let's face it, the most non-user friendly of theater patrons. Cons: Not the most versatile, new theater setups require time and patience. I would love a more developed Development module with tools. Thank you for your review. It sounds like you have used OvationTix at a past job but aren't currently using it at the theater you are at. OvationTix has evolved quite a bit in the last few years with more robust features and functionality and streamline design. One of our main areas of development is in the area of fundraising and development. Pros: I like the quantity of services offered. Sections / prices / discounts / packages etc. Cons: The graphic personalization, VERY limited. The lack of payment options - PayPal for example major. Overall: GREAT customer service, serious company I like to work with. Thank you for the review. It's great to hear that your overall experience with the system has been positive. 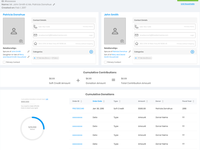 In regards to your comment about graphic personalization we do have a new consumer interface design that is completely responsive which you might be interested in switching to. We can also discuss other payment options if you aren't happy with PayPal. And I'd love to learn a little more about what you are referring to when you say "custom URLs" because hopefully we can help you with that as well. Thanks again for the review. We truly appreciate your partnership. Very easy to use online ticketing software. Pros: Ability to keep everything in order including our mailing list, donations, and selling of both regular and season tickets. Overall: The ability to easily use online from multiple computers and sources. Thanks so much Tim! We are glad to hear that OvationTix is a good fit for your organization. We continue to release new features, so keep an eye out for updates from your Customer Success Manager and our newsletter! Pros: The ease of the system in addition to the the support. Cons: The Check in list does not show us how many people remain to check in. we have to do a count. Overall: They are timely with all our needs. They do great work and work with us to guide and train. So glad to hear that your experience with OvationTix has been a positive one! Thank you for your feedback regarding the check-in mode - I'm happy to share that with our product development team. Please don't hesitate to reach out if you have any other feedback or concerns! Pros: It allows us to keep track of patrons and donors in an easy and streamlined manner. Cons: Credit card transactions are convoluted, especially when you have a patron with multiple addresses and just one billing zip code. Thanks for the great feedback! We are glad you enjoy using it, and are very happy to that you appreciate our customer service--our Client Services team is pretty great, I agree! Additionally, thank you for the credit card transactions feedback. Please don't hesitate to reach out to me with any other questions or feedback. Transactions are fairly smooth, but there are occasional glitches. Pros: The variety of patron information and the ability to look up patrons by a variety of means. Also, the ability to sort patrons by different categories is very helpful. Cons: Live credit card transactions do not input names correctly. The first name is inputed as the last name; and vice versa. duplicate patrons are not listed chronologically which causes a lot of extra button clicking. I have complained about this before. Hi Steve! We appreciate the feedback, especially from a long-standing partner like the El Portal! Please don't hesitate to reach out to your Customer Success Manager when glitches arise. Best to you and the team! Pros: Very easy to teach/train staff, positive feedback from online users using the software. building and backend features were simplistic, but easy to understand and to use. OvationTix has evolved quite a bit in the last few years with more robust features and functionality and streamline design and serve both small and large performing arts venues. Pros: I really like the fact that its easy to guide around the site. Things are clearly marked what they are. Cons: There's no fail safe. We could put through any information or select an item and not all of it asks if we are "sure you want to complete". Thanks for the response! We are really glad you enjoy using OvationTix--I also think your feedback on no fail safes is valid, I will submit that to our development department. If you ever have any questions, please don't hesitate to reach out to me, your Customer Success Manager at timothy.polzin@audienceview.com. 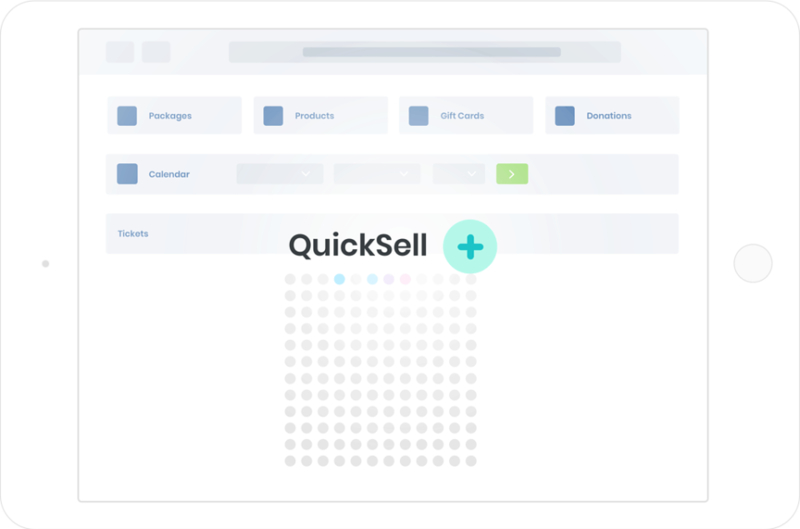 Pros: How compartmentalized the software can become when there are so many vouchers at use. Cons: The default option was the least likely ticket to be sold. Thanks for your review. We truly value your partnership so I'd love to connect with you and learn more about the "default option" you listed as a con. There might be something we can do to change that. I'll reach out to you directly. 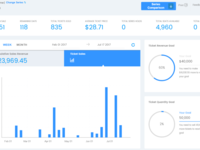 Comments: I really do love the ease of OvantionTix, and the reporting of data makes is extremely easy for a small organization such as ours to fulfill our potential. However, there is a lack of functionality of which I am wishing. For example, I wish it were easier to add a post-show talkback or special events linked to ticket sales on a specific event without having to create a new event. Thanks for the compliments! We take pride in our ease of use--especially our Patron Report which makes data mining an intuitive process for even the casual user. We're excited to be launching further reporting enhancements in the coming months. And additional thanks for your feedback on add-on events. Depending on how you want to offer and report on such events, there is some functionality that other partners have found useful: programming at the series level, plus some packages or ticket types you could build, retail add-ons or check-out questions. You and your Account Executive, Melissa, may have already explored some or all of these solutions; please keep checking in with us as we offer further enhancements every few weeks. Comments: We have been using this software for 18 months, and have found it extremely cost effective for providing both patron management solutions (fundraising and relationship building) as well as excellent cloud based ticketing solutions to include online ticketing. The customer support couldn't be more efficient and convenient. Having used 4 ticketing different softwares in my career, this one has proven to be the best combination of minimal learning curve to achieve high efficient and maximum output. My only regret is the limitation on training and installation guidelines, but I'm old school enough to appreciate a good manual. However, customer service and support are a viable alternative. We're glad to hear it! Thanks for the feedback regarding the manual. We continue to build out our support site (with more videos,etc.) and hope the monthly OvationTix newsletters are another way to track the frequent enhancements we make to the solution. Please don't hesitate to reach out to your dedicated account executive if you need assistance on-boarding a new employee or leveraging a new advancement/feature in the software. Pros: OvationTix is a good platform/website to purchase or sell tickets on for events. It is also great for advertising and marketing your own events. They take you step by step through the ticket purchasing process, and it takes no time to complete transactions. Cons: I wish they had a demo on their website, rather than you having to request a demo. It may bring in more revenue and publicity if they had it located on the website. 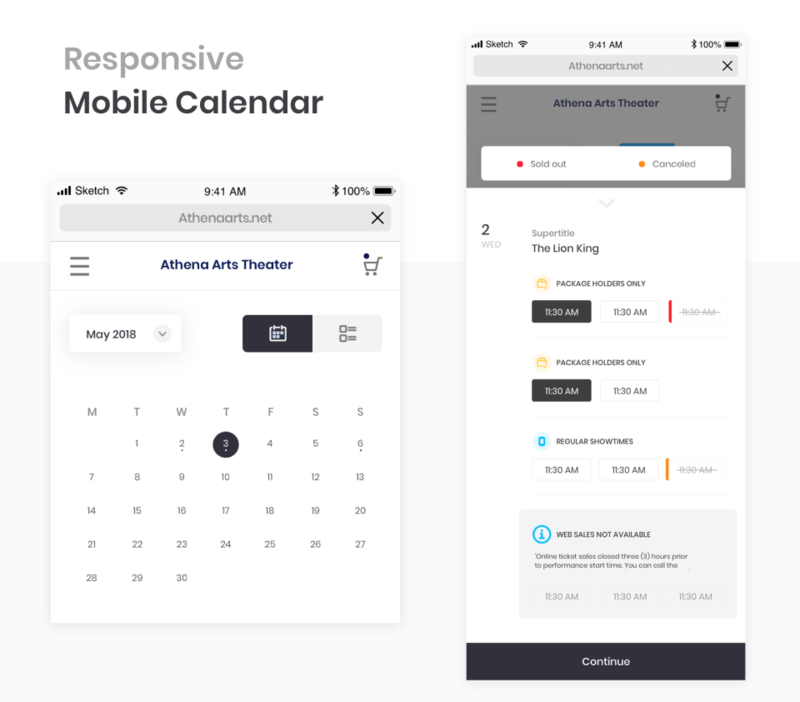 Comments: As one of the busiest and most diverse theatres in the city of Chicago, the Athenaeum needed a complete ticketing and crm partner that could keep up with our volume as we continue to develop and grow. From the beginning at the first demo until today, the team at Ovationtix have met all of our challenges. They listen to the people that deal with their systems daily and willingly improve and update based on client feedback. Customer satisfaction is top drawer with Ovationtix. Comments: Having worked on a half-dozen different ticketing platforms, Ovationtix is the most intuitive and easiest to learn. Setting up shows with many price points and discount codes is a breeze, and even the newest BO personnel can quickly figure out the process to sell a ticket. Their customer service is responsive and knowledgeable, and they are constantly updating and upgrading the system. They let you know when they are updating, and they walk you through new features as they debut. 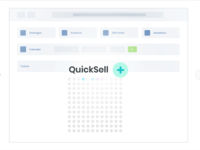 We aim to make the software easy and intuitive for new users while offering scale and sophistication for those that have been our partners for a longer time. And our support team loves to hear your feedback. Thanks so much!